Ferrets have been kept for decades in Switzerland, mainly by farmers and game keepers. It is unclear for what reason, as hunting with ferrets has never been common here, and certainly isn't today. In the past few years ferrets have become more pop ular as pets, but are still rare in Switzerland. The Swiss Federal Act for Protection of Animals is quite advanced and strict. This is especially true for wild animals and consequently for the family of mustelids. Little difference is made between polecats and ferrets. A permission from the Fed eral Veterinary Office is needed to import, export or to keep a ferret in captivity. The statutory requirements include a minimum cage size of two square meters for two animals, nutrition recommendations and the keeping livestock statistics. Num ber of animals on the premises, cause of death and name and address of buyer or seller have to be recorded. It is not allowed to sell ferrets to anybody without per mission. The district veterinarian inspects the animals and their housing on a regular basis. The permission depends on his report, and must be renewed every second year. 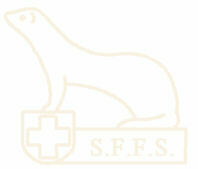 I run an organisation, the Swiss Fancy Ferret Society, similar to ferret clubs abroad. The main purpose of the society is the general wellbeing, suitable nutrition and medical care of ferrets. We have no shelters or ferret rescue organisations here. The S.F.F.S. does not promote the ferret as an companion animal, but offers any possible help and advice to breeders, pet owners and veterinary surgeons, at no cost. Ferrets are still exotic animals to the public, but also to most veterinary sur geons. We do have some highly qualified veterinarians spezialized in zoo animals, but the local vet is naturally the one to see, if help is needed. The right medical at tention and medication for ferrets are not always known. The main reasons to seek medical care for ferrets are unmated jills with the re lated problems and unsuitable nutrition, next to the common illnesses. Some jills do die of aplastic anaemia, but the diagnosis is often not correct. A leaflet for the veterinarian helped a lot and was quite a success. It covers in short inoculation, estrouscontrol, castration, anesthesia and biological- physiological- and haematologi cal data of the ferret.